FORMUFIT 3/4 in. Structural Grade PVC domed caps fits inside of the end of a 3/4" Schedule 40 PVC pipe, leaving a smooth, flush, domed end. 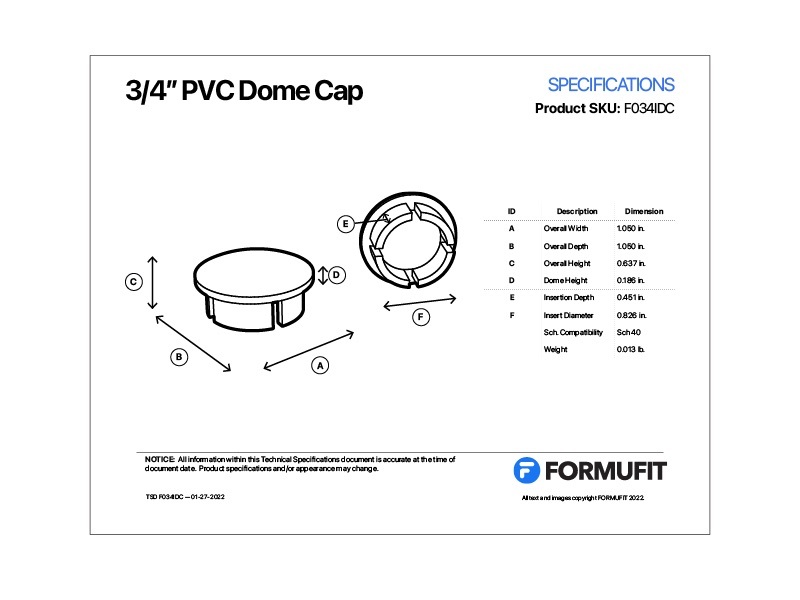 All FORMUFIT PVC Internal Dome Caps have a smooth domed shape on the top, providing a clean, flush end to PVC pipe. Their flush and simple appearance gives a smooth and professional look to projects and applications. 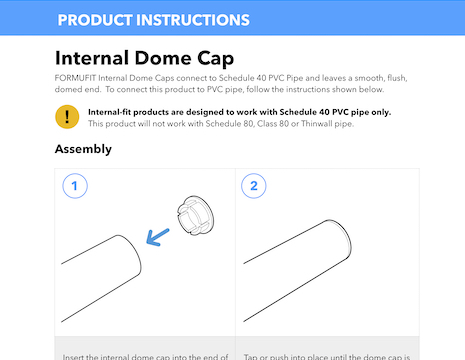 Due to variances of inner diameters of PVC pipe, it is highly recommended that internal dome caps be permanently attached with PVC cement. Fits inside 3/4" Size Sch. 40 PVC pipe, which has an outside diameter of 1-1/16" (1.050") and an inside diameter of 3/4". 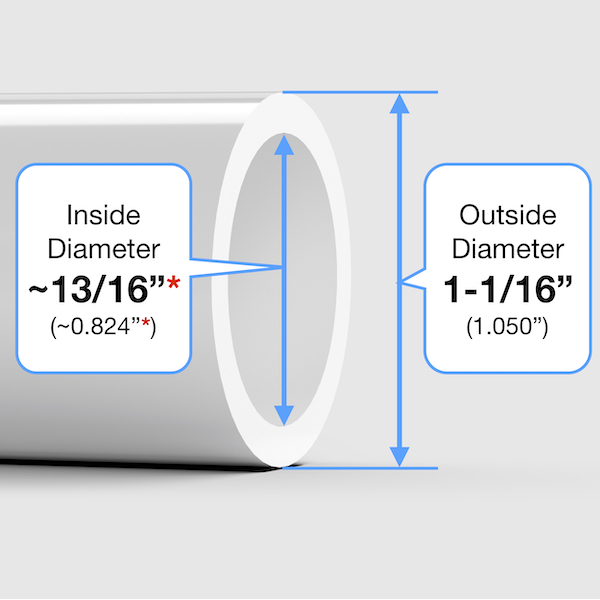 This product will fit 3/4” Size Schedule 40 PVC pipe only, which has an outside diameter of 1.050” (1-1/16”) and an inside diameter of approximately 0.824” (13/16“) *. See our PVC 101 section for more info.